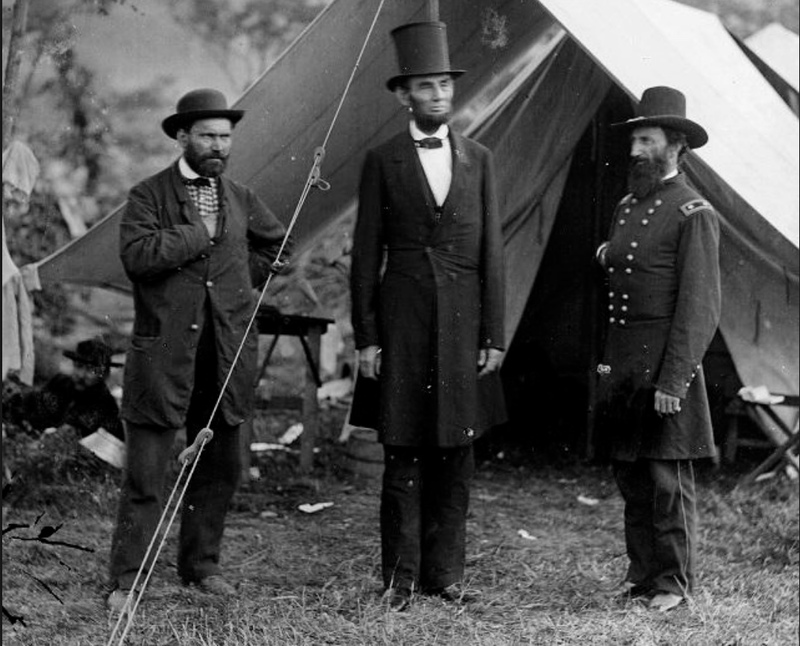 The American Civil War is an evergreen topic for alternate historians. Staring with short fiction such as If Lee Had Had Not Won the Battle of Gettysburg, by Winston Churchill, or Bring on the Jubilee by Ward More, it has grown to become a full-on sub-genre, populated by such works as The Guns of the South, by Harry Turtledove, and the epic Southern Victory Series, also by Turtledove, or lesser-appreciated works such as David C. Poyer’s The Shiloh Project (reviewed earlier in this blog). Some authors like Churchill, Moore, and Peter G. Tsouras, author of Gettysburg: An Alternate History, have rightly focused on the Battle of Gettysburg, as a key turning point. Digging deeper, some others have focused on “the high-water mark of the Confederacy,” which is the area along the stone wall on Cemetery Ridge and furthest point reached by the Confederates, during Pickett’s Charge on July 3 1863, and the last best chance for the Confederates to break the Union Army and to force an end to the war on their terms. Obviously this is a topic I could go on about at length, but we do have a book review to get to, don’t we? 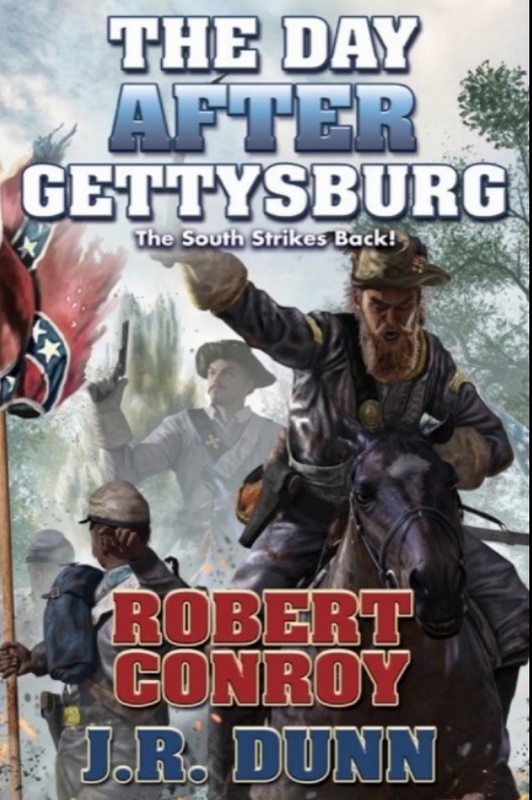 And that book is The Day After Gettysburg, by Robert Conroy and J.R. Dunn, and published posthumously after Conroy’s death in 2014. I will tell you right now that I really like this book. If we are talking personal high-water marks, this must be one for Conroy as an author. I believe this is his best work since 1882: Custer in Chains and 1901. Conroy’s eye for detail and history clearly shines here. Together, with Dunn, Conroy chooses a moment in history when after Union General Meade has won his victory at Gettysburg and Lee is retreating back into Virginia, he is goaded by President Abraham Lincoln to attacking Lee’s retreating columns with the hope to ending the war then and there. In our history, Meade did no such thing. However, in Conroy and Dunn’s book, Meade, who was a far better general on the defensive, attacks Lee with disastrous results. This sets the stage for a battle that not only threatens the city of Washington, but the Union itself. Both authors – and I believe it is a testament to Dunn's work - that is so seamless, that it reads like a Robert Conroy book, weave a mixture of historical fact and fiction so the end result is a very believable work of alternate history with all of the far-reaching implications. Characterizations, which have always been on the problematic side with me with some books by Conroy, are well-presented with clear motivations and well-defined arcs. One of the interesting things here is that there, as in war, there are no protagonists or antagonists, just people making decisions, for better or worse. Historical players such as Lincoln, Lee, Grant, Booth (whoops! ), Meade, and others are similarly well-handled. This book is highly recommended and a fitting adieu to a major figure in the alternate-history field. I've also started to re-read 1945, by Newt Gingrich and William R. Forstchen, with a view to conducting a serious reappraisal. Does it still earn that Worst Alternate History Book Ever rating? Will I throw it across the living room yet again in disgust? Stay tuned and find out.